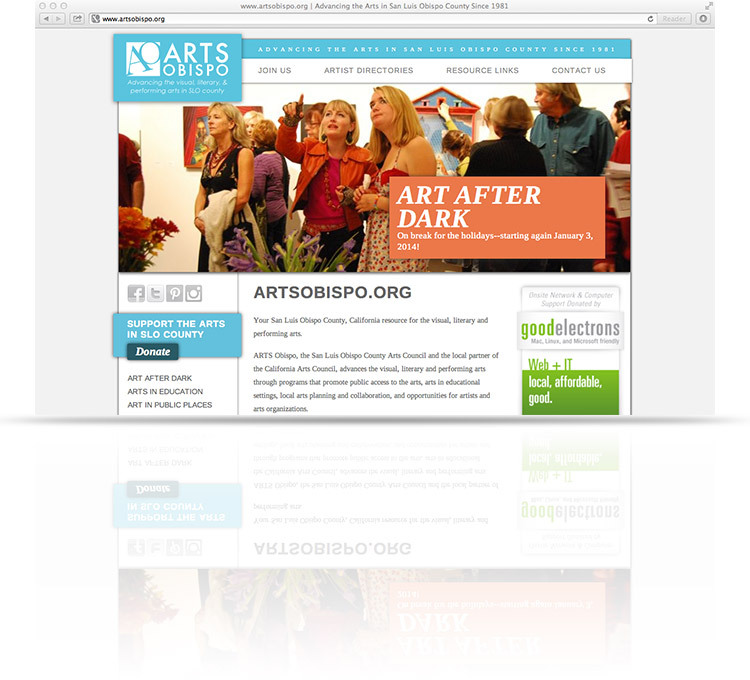 ARTS Obispo wanted to freshen their look and consolodate all their wordpress blogs into one site. Good Electrons worked with ARTS Obispo's board and staff to organize their many blogs and events before a single sketch was made. Extensive planning ensured the new site design was streamlined to present the most important information first. We then made their migration process simple by importing all their old Wordpress blogs into their newly designed site.